I’d like to learn more about GoProcure! Do You Fit the Profile of the Next Generation Procurement Executive? Roy Anderson, a GoProcure Investor along with other seasoned Procurement experts, explore the future of procurement in Ariba’s thought-provoking Vision2020 report. 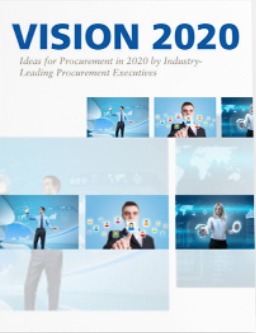 “The report is intended not as an end, but rather as a point of departure for much discussion and debate around where procurement can and should be setting its sights for the year 2000 and beyond” (Source: Vision2020).